It’s not often that Fuller Center for Housing covenant partners work in mobile home parks, but the Maryland Crossing subdivision of 48 mobile home units is a worthy exception. The Tallahassee community is a ministry of Good News Outreach and serves as a sort of refuge for single-parent families who earn 25 percent or less than the area’s median household income. 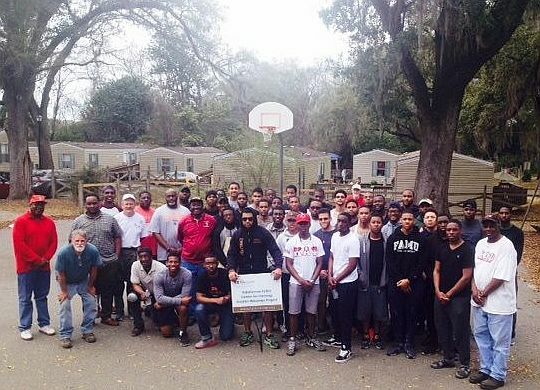 The Tallahassee Fuller Center for Housing has been working to repair termite damage throughout the park and recently got a major boost from faith organizations and from fraternities at both Florida State University and Florida A&M. WFSU, an NPR station based at Florida State University, filed an extensive report after visiting the site over the weekend, including audio, that you can read and hear at this link.